Optional wood base currently unavailable. These classic tulip vases have traditional hand cut decoration across three-quarters of the body, leaving a blank panel for engraving. They are ideal as gifts or awards for a range of occasions and achievements, from corporate recognition awards to personalised gifts, from anniversary gifts to retirement gifts. 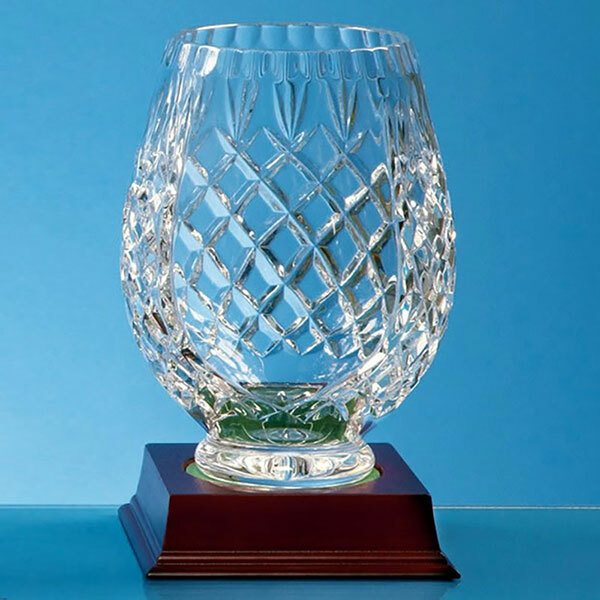 The vases are crafted in quality lead crystal and are available in three sizes, perfect for buyers with a budget or for creating awards for different levels of achievement. This 15cm size is the smallest of the range, we also offer a 20cm Crystal Panel Tulip Vase and a 25cm Crystal Panel Tulip Vase.